Dusty deep purple color. 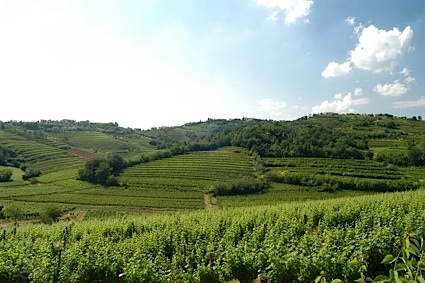 Aromas of black raspberry candies, aromatic barks, and bay leaf with a slightly chewy, fruity medium body and a tingling, breezy raspberry breakfast pastry finish with leafy tannins and moderate oak flavor. A solid zinfandel that will play well at the table and in hand. Bottom Line: A solid zinfandel that will play well at the table and in hand. 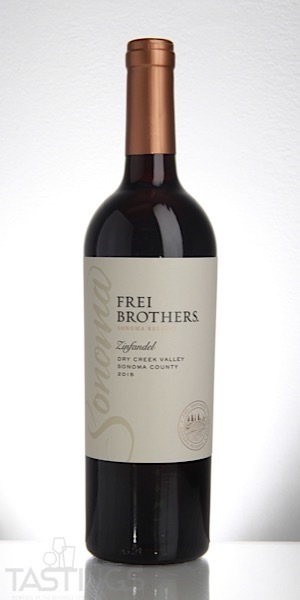 Frei Brothers 2015 Zinfandel, Dry Creek Valley rating was calculated by tastings.com to be 87 points out of 100 on 10/5/2018. Please note that MSRP may have changed since the date of our review.